Giacobbi, P., Giacobbi, P., Howe, C. L., Howe, C. L., Roe, D., Roe, D., Hingle, M. D., Hingle, M. D., Armin, J. S., Armin, J. S., Johnson, T., Johnson, T., Cunningham, J. K., Cunningham, J. K., Gordon, J. S., & Gordon, J. S. (2017). Development and Evaluation of the See Me Smoke-Free Multi-Behavioral mHealth App for Women Smokers. Translational Behavioral Medicine , 7(2), 172-184. Cunningham, J. K., Callaghan, R. C., & Liu, L. (2016). Essential/Precursor Chemicals and Drug Consumption: Impacts of US Sodium Permanganate and Mexico Pseudoephedrine Controls on the Numbers of US Cocaine and Methamphetamine Users. Addiction . Cunningham, J. K., Solomon, T. A., & Muramoto, M. L. (2016). Alcohol use among Native Americans compared to whites: Examining the veracity of the 'Native American elevated alcohol consumption' belief. Drug and Alcohol Dependence , 160, 65-75. This study uses national survey data to examine the veracity of the longstanding belief that, compared to whites, Native Americans (NA) have elevated alcohol consumption. Giacobbi, P., Hingle, M., Johnson, T., Cunningham, J. K., Armin, J., & Gordon, J. S. (2016). See Me Smoke-Free: Protocol for a Research Study to Develop and Test the Feasibility of an mHealth App for Women to Address Smoking, Diet, and Physical Activity. JMIR Research Protocols , 5(1), e12. This paper presents the protocol for an ongoing research study to develop and test the feasibility of a multi-behavioral mHealth app. Approximately 27 million women smoke in the US, and more than 180,000 women die of illnesses linked to smoking annually. Women report greater difficulties quitting smoking. Concerns about weight gain, negative body image, and low self-efficacy may be key factors affecting smoking cessation among women. Recent studies suggest that a multi-behavioral approach, including diet and physical activity, may be more effective at helping women quit. Guided imagery has been successfully used to address body image concerns and self-efficacy in our 3 target behaviors-exercise, diet and smoking cessation. However, it has not been used simultaneously for smoking, diet, and exercise behavior in a single intervention. While imagery is an effective therapeutic tool for behavior change, the mode of delivery has generally been in person, which limits reach. mHealth apps delivered via smart phones offer a unique channel through which to distribute imagery-based interventions. Cunningham, J. K., Callaghan, R. C., & Liu, L. (2015). US federal cocaine essential ('precursor') chemical regulation impacts on US cocaine availability: an intervention time-series analysis with temporal replication. Addiction , 110(5), 805-20. Research shows that essential/precursor chemical controls have had substantial impacts on US methamphetamine and heroin availability. This study examines whether US federal essential chemical regulations have impacted US cocaine seizure amount, price and purity-indicators of cocaine availability. Cunningham, J. K., Floden, L. L., Howerter, A. L., Matthews, E., Gordon, J. S., & Muramoto, M. (2015). Complementary and Alternative Medicine (CAM) practitioners’ readiness for tobacco intervention training: Development and psychometric properties of a new measure. Advances in Integrative Medicine . Floden, L., Howerter, A., Matthews, E., Nichter, M., Cunningham, J. K., Ritenbaugh, C., Gordon, J. S., & Muramoto, M. L. (2015). Considerations for practice-based research: a cross-sectional survey of chiropractic, acupuncture and massage practices. BMC Complementary and Alternative Medicine , 15, 140. Complementary and alternative medicine (CAM) use has steadily increased globally over the past two decades and is increasingly playing a role in the healthcare system in the United States. CAM practice-based effectiveness research requires an understanding of the settings in which CAM practitioners provide services. This paper describes and quantifies practice environment characteristics for a cross-sectional sample of doctors of chiropractic (DCs), licensed acupuncturists (LAcs), and licensed massage therapists (LMTs) in the United States. Callaghan, R. C., Sanches, M., Gatley, J. M., Liu, L., & Cunningham, J. K. (2014). Hazardous birthday drinking among young people: population-based impacts on emergency department and in-patient hospital admissions. Addiction , 109(10), 1667-75. There is growing concern about the possible adverse health impacts of binge drinking during birthday celebrations among adolescents and young adults. We estimate the impacts of birthday alcohol use on adolescent and young adult in-patient/emergency department (ED) hospital admissions. Muramoto, M. L., Howerter, A., Matthews, E., Ford-Floden, L., Gordon, J., Nichter, M., Cunningham, J. K., & Ritenbaugh, C. (2014). Tobacco Brief Intervention Training for Chiropractic, Acupuncture, and Massage Practitioners: Protocol for the CAM Reach Study. BMC Complementary and Alternative Medicine , 14, 510. Callaghan, R. C., Sanches, M., Gatley, J. M., & Cunningham, J. K. (2013). Effects of the minimum legal drinking age on alcohol-related health service use in hospital settings in Ontario: a regression-discontinuity approach. American Journal of Public Health , 103(12), 2284-91. We assessed the impact of the minimum legal drinking age (MLDA) on hospital-based treatment for alcohol-related conditions or events in Ontario, Canada. Cunningham, J. K., Liu, L., & Callaghan, R. C. (2013). Essential ("precursor") chemical control for heroin: impact of acetic anhydride regulation on US heroin availability. Drug and Alcohol Dependence , 133(2), 520-8. To reduce heroin availability, the United Nations (UN) has encouraged nations to control acetic anhydride, an essential ("precursor") chemical typically necessary to the drug's production. This effort, a major environmental prevention policy, has received little evaluation. The United States, per the UN's lead, implemented acetic anhydride regulation in 11/1989. The present study examines whether the US regulation impacted US heroin availability. Cunningham, J. K., Maxwell, J. C., Campollo, O., Liu, L., Lattyak, W. J., & Callaghan, R. C. (2013). Mexico's precursor chemical controls: emergence of less potent types of methamphetamine in the United States. Drug and Alcohol Dependence , 129(1-2), 125-36. This study examines whether Mexico's controls on ephedrine and pseudoephedrine, the two precursor chemicals that yield the most potent form of methamphetamine, d-methamphetamine, impacted the prevalence/availability of less potent types of methamphetamine in the United States-types associated with the alternative precursor chemical P2P. Callaghan, R. C., Cunningham, J. K., Allebeck, P., Arenovich, T., Sajeev, G., Remington, G., Boileau, I., & Kish, S. J. (2012). Methamphetamine use and schizophrenia: a population-based cohort study in California. The American Journal of Psychiatry , 169(4), 389-96. Clinical investigators in Japan have long suggested that exposure to methamphetamine might cause a persistent schizophrenia-like psychosis. This possibility is discounted in the Western literature. To investigate the relationship between drug use and later schizophrenia, the authors conducted a large-scale cohort study of drug users initially free of persistent psychosis. Callaghan, R. C., Cunningham, J. K., Sykes, J., & Kish, S. J. (2012). Increased risk of Parkinson's disease in individuals hospitalized with conditions related to the use of methamphetamine or other amphetamine-type drugs. Drug and Alcohol Dependence , 120(1-3), 35-40. Since methamphetamine and other amphetamine-type stimulants (meth/amphetamine) can damage dopaminergic neurons, researchers have long speculated that these drugs may predispose users to develop Parkinson's disease (PD), a dopamine deficiency neurological disorder. Callaghan, R. C., Cunningham, J. K., Verdichevski, M., Sykes, J., Jaffer, S. R., & Kish, S. J. (2012). All-cause mortality among individuals with disorders related to the use of methamphetamine: a comparative cohort study. Drug and Alcohol Dependence , 125(3), 290-4. Understanding the mortality rate of methamphetamine users, especially in relation to other drug users, is a core component of any evaluation of methamphetamine-related harms. Although methamphetamine abuse has had a major impact on United States (U.S.) drug policy and substance-abuse treatment utilization, large-scale cohort studies assessing methamphetamine-related mortality are lacking. Campollo, O., Roman, S., Panduro, A., Hernandez, G., Diaz-Barriga, L., Balanzario, M. C., & Cunningham, J. K. (2012). Non-injection drug use and hepatitis C among drug treatment clients in west central Mexico. Drug and Alcohol Dependence , 123(1-3), 269-72. Research on hepatitis C virus (HCV) prevalence among non-injecting drug treatment clients in the United States, Europe and Asia indicate substantial differences by place. To date, little or no research on HCV and non-injection drug use (NIDU) has been conducted in Mexico. Cunningham, J. K., Callaghan, R. C., Tong, D., Liu, L., Li, H., & Lattyak, W. J. (2012). Changing over-the-counter ephedrine and pseudoephedrine products to prescription only: impacts on methamphetamine clandestine laboratory seizures. Drug and Alcohol Dependence , 126(1-2), 55-64. Clandestine laboratory operators commonly extract ephedrine and pseudoephedrine-precursor chemicals used to synthesize methamphetamine-from over-the-counter cold/allergy/sinus products. To prevent this activity, two states, Oregon in 07/2006 and Mississippi in 07/2010, implemented regulations classifying ephedrine and pseudoephedrine as Schedule III substances, making products containing them available by prescription only. Using simple pre-regulation versus post-regulation comparisons, reports claim that the regulations have substantially reduced clandestine laboratory seizures (an indicator of laboratory prevalence) in both states, motivating efforts to implement similar regulation nationally. This study uses ARIMA-intervention time-series analysis to more rigorously evaluate the regulations' impacts on laboratory seizures. Campollo, O., Diaz, F., Prado, C. M., & Cunningham, J. K. (2011). Residential Treatment Services in West Central Mexico: Resources and Needs. Anuario de Investigacion en Adicciones , 12, 96-97. Campollo, O., Diaz, F., Prado, C. M., Cunningham, J. K., & Avila, D. S. (2011). Evaluacion de clinicas de tratamiento residencial para adicciones en el estado de Jalisco [Evaluation of Residential Drug Treatment Clinics in Jalisco]. Anuario de Investigacion en Adicciones , 12, 97-98. Campollo, O., Roman, S., Panduro, A., Hernandez, G., & Cunningham, J. K. (2011). Hepatitis B, Hepatitis C y VIH en adictos a drogas y sustancias en Mexico. Anuario de Investigacion en Adicciones , 12, 98-99. Cunningham, J. K., Bojorquez, I., Campollo, O., Liu, L., & Maxwell, J. C. (2011). Intervenciones Dirigidas a Precursores Quimicos de Metanfetamina en Mexico: Impacto en los Ingresos a Tratamiento por Drogas en Mexico y Tejas [Interventions Directed at Methamphetamine Precursor Chemicals in Mexico: Impact on Drug Treatment Admissions in Mexico and Texas]. Anuario de Investigacion en Adicciones , 12, 5-19. Verdichevski, M., Burns, R., Cunningham, J. K., Tavares, J., & Callaghan, R. C. (2011). Trends in primary methamphetamine-related admissions to youth residential substance abuse treatment facilities in Canada, 2005-2006 and 2009-2010. Canadian Journal of Psychiatry. Revue Canadienne de Psychiatrie , 56(11), 696-700. During the last decade, methamphetamine use and issues surrounding its toxicity have triggered major concern in the Canadian government, leading to significant changes in drug policy and funding strategies to limit the societal impact of methamphetamine-related harms. This concern appears justified by research which found in 2005-2006 that 21% of all youth admissions to inpatient substance abuse treatment centres in Canada were due primarily to methamphetamine abuse. Given these patterns of treatment use and targeted governmental initiatives, an open question is whether the demand for methamphetamine treatment found in 2005-2006 has decreased. Our study aims to provide follow-up estimates of admissions for 2009-2010, as well as important trend information for these periods. Callaghan, R. C., Cunningham, J. K., Sajeev, G., & Kish, S. J. (2010). Incidence of Parkinson's disease among hospital patients with methamphetamine-use disorders. Movement Disorders : Official Journal of the Movement Disorder Society , 25(14), 2333-9. Because methamphetamine exposure to experimental animals can damage brain dopamine neurones, we examined whether hospital patients diagnosed with methamphetamine-related disorders might have greater risk of subsequent admission with a Parkinson's disease diagnosis. This was a population-based cohort study using all statewide inpatient hospital discharge records from July 1, 1990, through June 30, 2000, in California, USA, in which subjects aged at least 50 years were followed for up to 10 years. Individuals with reported methamphetamine-related conditions (n = 1,863; ICD-9 codes 304.4, 305.7, 969.7, and E854.2) were matched on demographic variables and follow-up time with those with primary appendicitis conditions (n = 9,315). The appendicitis group had a Parkinson's disease incidence rate no different than the rate found among members of a large health maintenance organization in California. Cox regression procedures were used to estimate group differences in the rates of receiving a subsequent inpatient diagnosis of Parkinson's disease (ICD-9 332.0). The methamphetamine group showed increased risk of a subsequent admission with Parkinson's disease compared with that of the matched appendicitis group (adjusted hazard ratio = 2.65, 95% CI, 1.17-5.98, P= 0.019). Study limitations include a population limited to hospital admissions, an uncertainty regarding diagnostic validity of the ICD-9 code 332.0 (Parkinson's disease), and a small number of incident cases with suspected Parkinson's disease. We strongly emphasize the preliminary nature of the findings. Nevertheless, these data, requiring replication, provide some evidence that methamphetamine users might be at greater than normal risk for developing Parkinson's disease. Cunningham, J. K., Bojorquez, I., Campollo, O., Liu, L., & Maxwell, J. C. (2010). Mexico's methamphetamine precursor chemical interventions: impacts on drug treatment admissions. Addiction , 105(11), 1973-83. To help counter problems related to methamphetamine, Mexico has implemented interventions targeting pseudoephedrine and ephedrine, the precursor chemicals commonly used in the drug's synthesis. This study examines whether the interventions impacted methamphetamine treatment admissions-an indicator of methamphetamine consequences. Cunningham, J. K., Maxwell, J. C., Campollo, O., Cunningham, K. I., Liu, L., & Lin, H. (2010). Proximity to the US-Mexico border: a key to explaining geographic variation in US methamphetamine, cocaine and heroin purity. Addiction , 105(10), 1785-98. Although illicit drug purity is a widely discussed health risk, research explaining its geographic variation within a country is rare. This study examines whether proximity to the US-Mexico border, the United States' primary drug import portal, is associated with geographic variation in US methamphetamine, heroin and cocaine purity. Callaghan, R. C., Cunningham, J. K., Victor, J. C., & Liu, L. (2009). Impact of Canadian federal methamphetamine precursor and essential chemical regulations on methamphetamine-related acute-care hospital admissions. Drug and Alcohol Dependence , 105(3), 185-93. In response to its domestic methamphetamine problems and an emerging international consensus that methamphetamine precursor and essential chemicals should be controlled, Canada regulated its import/export of ephedrine and pseudoephedrine (precursor chemicals) in January 2003, its domestic distribution of those chemicals in July 2003, and its import/export and manufacturing of essential chemicals (e.g., toluene) in January 2004. This study examines the regulations' impact on the problem of methamphetamine-related hospital admissions in Canada. Cunningham, J. K., Liu, L., & Callaghan, R. (2009). Impact of US and Canadian precursor regulation on methamphetamine purity in the United States. Addiction , 104(3), 441-53. Reducing drug purity is a major, but largely unstudied, goal of drug suppression. This study examines whether US methamphetamine purity was impacted by the suppression policy of US and Canadian precursor chemical regulation. Cunningham, J. K., & Liu, L. (2008). Impact of methamphetamine precursor chemical legislation, a suppression policy, on the demand for drug treatment. Social Science & Medicine , 66(7), 1463-73. Research is needed to help treatment programs plan for the impacts of drug suppression efforts. Studies to date indicate that heroin suppression may increase treatment demand. This study examines whether treatment demand was impacted by a major US methamphetamine suppression policy -- legislation regulating precursor chemicals. The precursors ephedrine and pseudoephedrine, in forms used by large-scale methamphetamine producers, were regulated in August 1995 and October 1997, respectively. ARIMA-intervention time-series analysis was used to examine the impact of each precursor's regulation on monthly voluntary methamphetamine treatment admissions (a measure of treatment demand), including first-time admissions and re-admissions, in California (1992-2004). Cocaine, heroin, and alcohol treatment admissions were used as quasi-control series. The 1995 regulation of ephedrine was found to be associated with a significant reduction in methamphetamine treatment admissions that lasted approximately 2 years. The 1997 regulation of pseudoephedrine was associated with a significant reduction that lasted approximately 4 years. First-time admissions declined more than re-admissions. Cocaine, heroin, and alcohol admissions were generally unaffected. While heroin suppression may be associated with increased treatment demand as suggested by research to date, this study indicates that methamphetamine precursor regulation was associated with decreases in treatment demand. A possible explanation is that, during times of suppression, heroin users may seek treatment to obtain substitute drugs (e.g., methadone), while methamphetamine users have no comparable incentive. Methamphetamine suppression may particularly impact treatment demand among newer users, as indicated by larger declines in first-time admissions. Cunningham, J. K., Liu, L., & Muramoto, M. (2008). Methamphetamine suppression and route of administration: precursor regulation impacts on snorting, smoking, swallowing and injecting. Addiction , 103(7), 1174-86. The route of drug administration affects risk for dependence and medical harm. This study examines whether routes used by methamphetamine treatment participants were impacted by a major drug suppression policy-federal regulation of the methamphetamine precursor chemicals ephedrine and pseudoephedrine. Cunningham, J. K., & Liu, L. (2005). Impacts of federal precursor chemical regulations on methamphetamine arrests. Addiction , 100(4), 479-88. The US government regulated precursor chemicals, ephedrine and pseudoephedrine, multiple times to limit methamphetamine production/availability and thus methamphetamine problems. Research has found that the regulations reduced methamphetamine hospital admissions, but authors have argued that other problems were unaffected. This study examines whether the regulations impacted methamphetamine arrests. Cunningham, J. K., & Liu, L. (2003). Guidelines for measuring impacts of methamphetamine precursor chemical regulations: a reply to Reuter and Caulkins (2003). Addiction , 98(10), 1463-4. Cunningham, J. K., & Liu, L. (2003). Impacts of federal ephedrine and pseudoephedrine regulations on methamphetamine-related hospital admissions. Addiction , 98(9), 1229-37. To determine whether the federal regulation of ephedrine and pseudoephedrine, precursors used in illicit methamphetamine production, reduced methamphetamine-related acute care hospital admissions. Cunningham, J. K., & Stoeckert, J. A. (1992). Evaluations of 3M/House Single Channel and Nucleus Multichannel Cochlear Implants. The American Journal of Otology , 13, 449-453. Cunningham, J. K. (1990). Parents' Evaluations of the Effects of the 3M/House Cochlear Implant on Children. Ear and Hearing , 11, 375-381. Fujikawa, S., & Cunningham, J. K. (1989). Practices and Attitudes Related to Hearing: A survey of Executives. Ear and Hearing , 10, 375-381. Berliner, K. I., Cunningham, J. K., House, W. F., & House, J. W. (1987). Effect of the Cochlear Implant on Tinnitus in Profoundly Deaf Patients. Proceedings III International Tinnitus Seminar . Eisenberg, L. S., Thielemeir, M. A., Luxford, W. M., & Cunningham, J. K. (1986). Cochlear implants in children: speech production and auditory discrimination. The Otolaryngologic Clinics of North America , 19, 409-421. Gordon, J. S., Cunningham, J. K., Johnson, T., Armin, J. S., Hingle, M. D., & Giacobbi, P. (2016, March 30-April 2). See Me Smoke-Free. Technology Preview . 37th Annual Meeting of the Society of Behavioral Medicine. Washington DC. Govindarajan, L., Taren, D. L., & Cunningham, J. K. (2016, October). The Partnership between Local Health Departments and the Western Region Public Health Training Center in Addressing Workforce Development . Annual Meeting of the American Public Health Association Meeting. Denver: APHA. C, Q., De La Rosa, J., Mcguffin, B., & Cunningham, J. K. (2018, April). Database Development to Support and Help Evaluate the UA Behavioral Health Peer Credentialing Program . Mel and Enid Zuckerman College of Public Health Public Health Poster Forum. 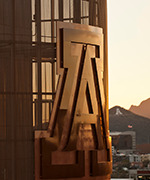 Tucson, AZ: University of Arizona Mel and Enid Zuckerman College of Public Health Public. Gordon, J. S., Gordon, J. S., Cunningham, J. K., Cunningham, J. K., Johnson, T., Johnson, T., Armin, J. S., Armin, J. S., Hingle, M. D., Hingle, M. D., Giacobbi, P., & Giacobbi, P. (2016, March 2-4). See Me Smoke-Free: Development and feasibility of an mHealth app for women to address smoking, diet and physical activity . Annual Meeting of the Society for Research on Nicotine and Tobacco. Chicago, IL. Gordon, J. S., Gordon, J. S., Gordon, J. S., Cunningham, J. K., Cunningham, J. K., Cunningham, J. K., Johnson, T., Johnson, T., Johnson, T., Armin, J. S., Armin, J. S., Armin, J. S., Hingle, M. D., Hingle, M. D., Hingle, M. D., Giacobbi, P., Giacobbi, P., & Giacobbi, P. (2016, March 30-April 2). See Me Smoke-Free: Results of a feasibility trial of an mHealth app for women to address smoking, diet and physical activity. . 37th Annual Meeting and Scientific Sessions of the Society of Behavioral Medicine. Washington DC. Gordon, J. S., Muramoto, M., Cunningham, J. K., Armin, J., Christiansen, S., & Jacobs, T. (2015, April). Development and evaluation of the RxCoach mHealth app to increase tobacco cessation medication adherence . Annual Meeting of the Society for Behavioral Medicine. San Antonio, TX.